Commodity: Merino sheep, wheat and barley. I think we just have to realise that the climate will become more variable and that we will have to make decisions year by year. These days we have to plan for every possible outcome and expect the unexpected! 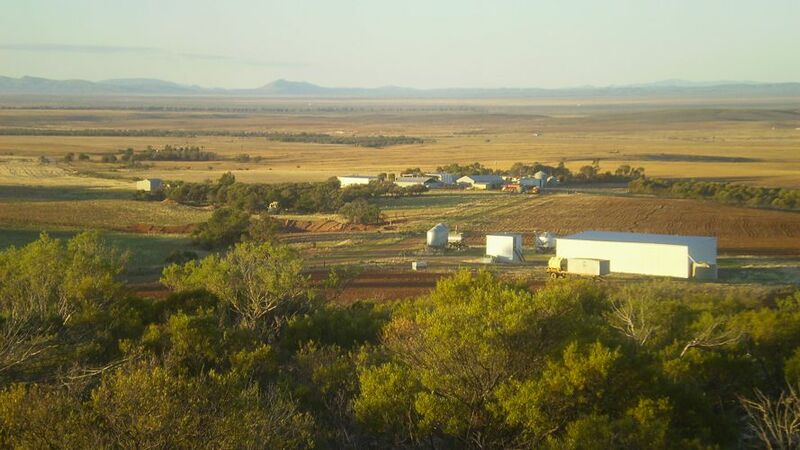 I live on a sheep grazing and grain cropping property near Quorn in the Flinders Ranges in northern South Australia with my husband Ben and our youngest son. Ben is the fourth generation on the land in this region, which makes my children fifth generation. His family came out from England in the early 1800s and moved to Horseshoe Range in the 1870s. We still own the original Carn homestead, which we are currently renovating – partly for fun and partly for a tourism enterprise. I grew up in the country at Clare and Mount Gambier, but went to high school in Adelaide. I love the country and wanted to take on a career that allowed me to work in the country. 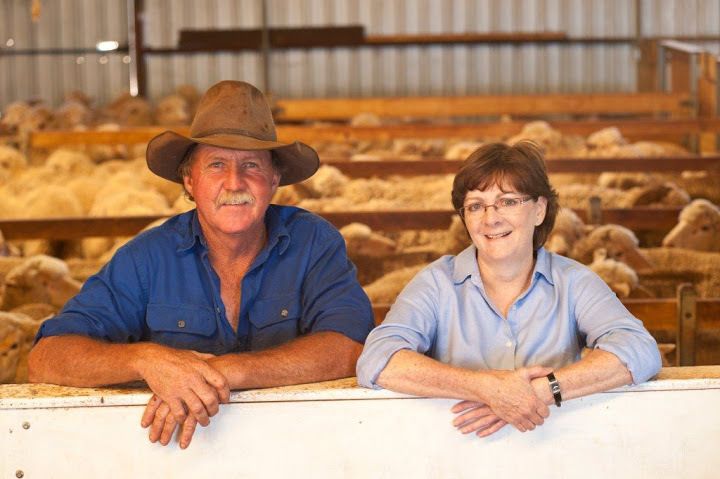 I trained as a wool classer and while I was working in the south-east of South Australia I met Ben. He was shearing to earn money to buy more blocks of land around the original 800 hectares that his father had. He slowly purchased land to increase the size of the farm to the 11,000 hectares that we have now. In 2016, we purchased Umberatana Station in the North-east pastoral area of SA. The area that we farm is made up of four properties – we have 2500 acres where we live, just south of Quorn, and grazing land in the Horseshoe Range, Willochra Plain and north towards Hawker. We lease and share-farm some additional land around Quorn. 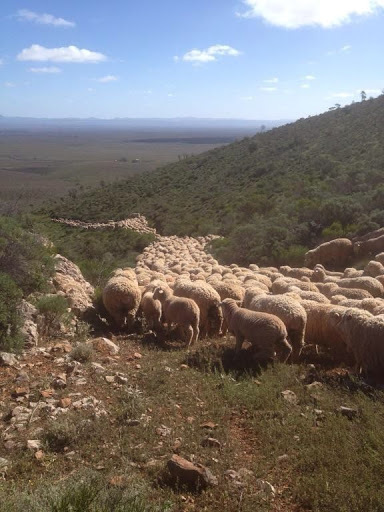 We are slowly stocking Umberatana Station with merinos. We grow wheat and barley and graze 8000 merino sheep for their wool and their meat. We also run an opportunity feedlot for the wether lambs. We don’t use it every year, only if we think lamb prices are good and we will get a return from fattening them by feeding grain. We have a small section of arable land where we live and it is here that we grow wheat during the years when wheat is getting good prices. We are on pretty marginal country for growing wheat and barley. But we have some hills that help capture a bit of extra rain for us. It is very varied country. On the plains we get 220 mm and near the Horseshoe Range it goes up to 300 mm. It is predominantly a winter rainfall pattern, or it used to be. During the last 15 years I have noticed that rainfall patterns are changing. We don’t seem to get as much autumn rain anymore and winter and spring rain is dropping off. Sometimes we get a lot more rain in Quorn in summer. Umberatana station usually gets more summer rain, however 2016 has seen a lot of autumn and winter rain. So it’s varying every year and we just take every year on its merits now. The long-term climate projection for my part of the world shows it getting hotter. This is certainly the case for our region, there’s no doubt about that. The jury is still out on future rainfall. The climatologists don’t know whether we are going to get less rain or whether we are going to get a slightly more tropical climate. Even if we do get more rain, being hotter will increase evaporation. The climate outlook has a major impact on the decisions we make regarding our stock. If the year looks like it is not going to pan out for having good winter or spring rains, we assess our stock numbers early and sell off stock. We are lucky having the four different properties as each one has the possibility of having different rainfall amounts and, therefore, one property might have good feed one year while another is short on feed. This allows us to move the sheep between properties depending on where the best grazing is. But, if all indicators are that we are heading for an El Niño event in combination with a positive Indian Ocean Dipole, then we know we’re in trouble and so we will look early to sell stock. Our aim is to not overgraze. Also, by having an understanding of the drivers of climate, we can mentally get prepared for a bad year, for example, and put some plans in place. We have recently begun a trial of putting self-feeders in some paddocks. They are lick-feeders containing barley, so sheep get used to grain slowly, whilst still grazing. We use barley grown on our Quorn farming country. We have found that the paddocks with feeders have fatter ewes and a much better lambing percentage than the paddocks without them. The lambs also learn to eat grain early, which means if they eventually need to go into our feedlot to fatten and finish in a dry year, they can go straight onto a grain ration. We intend to have them in every paddock, and we are sowing more barley than wheat now to store on farm. Ben and I have a bit of a laugh because his friends will often ring up and ask: ‘What does Susan say about the weather? Can we expect anything?’. My interest in weather forecasts and climate started in about 2004. We were noticing that our seasons were changing and I wanted to find why. So I did 2 or 3 climate-risk courses through the South Australian Research and Development Institute (SARDI) and I started attending any seminar on climate that I could find. I was at a SARDI course when the presenter put up a slide showing that the Indian Ocean temperature was working in combination with the Pacific Ocean temperature to affect Australia’s weather. A light bulb came on, and I thought: ‘This is really important’. Our weather was not just being impacted by the Pacific Ocean’s El Niño and La Niña events, but also by what was happening in the Indian Ocean. I went home and got on the internet and I searched for all the information I could find on the Indian Ocean Dipole. During my research I came across Dr Gary Meyers, an ocean scientist from Tasmania, who was part of a network of scientists from around the world who discussed the latest climate indicators. He has been a huge help and allowed me to join this international email network where scientists share their latest findings. Most of this information can now be found on the internet. I’ve got my favourite weather sites that I look at. Not on a daily basis – I’ve broken them down to daily, weekly, monthly and, as I like to call it, anytime reading. I know it’s a lot, but I’ve been looking at all these different sites for a long time now and I know what works and what doesn’t, and what to look at, at a certain time. For instance, there’s not much point looking at the Indian Ocean measurements anytime except between June and November because that’s when the Indian Ocean Dipole effect kicks in. The Bureau of Meteorology has an experimental forecasting tool—POAMA/ACCESS-S—and I think other dynamical climate models are well worth looking at. I also look at 3-month seasonal forecasts produced by Japan and Korea. These forecasts use dynamical climate models to produce forecast maps for the world and explain what climate drivers are responsible for the possible outcomes. I find it useful to compare the maps and information and look at what they are predicting for Australia. The key is to look at a lot of different models from around the world and get a consensus. In 2008 the models were agreeing that we weren’t going to have a very good winter and spring. So we decided not to sow as much grain and that proved to be a good decision. Over the last 10 years I have had great success in using seasonal forecast data in my decision-making for both cropping and sheep enterprises. For example, in 2010 the forecasts agreed we would have a dry winter, wet spring and a very wet harvest. Our decision was to sow conservatively and be ready to harvest as quickly as possible. As a result we had no grain downgraded. So by sowing less, we made more! We also brought our lambing time forward as forecasts were for the La Niña to last well into autumn 2011, followed by another dry winter. Lambing around here is traditionally timed for winter, but by changing to late autumn our lambs were born before paddock feed diminished. The result was over 100% lambing rates and very big lambs at sale time—a very profitable decision. I’ve found that seasonal forecasts and climate drivers like the Southern Oscillation Index and Indian Ocean Dipole are important tools to help us in our decision-making. The Carns run an opportunity feedlot for wether lambs. Moving sheep over the hills into plain country. The Carns’ property at Quorn stretches across the Willochra Plain to the Horseshoe Range.